Meet 8:30 pm at SW 13th and Burnside. 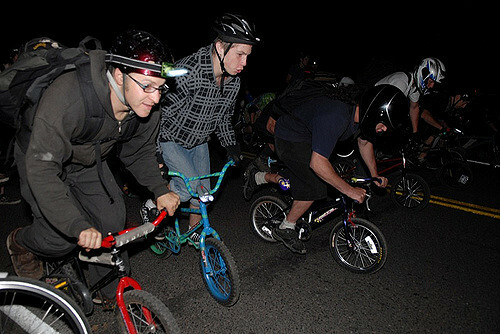 Bring a bike, MAX fare ($2.50), lights, and any safety gear you need. It’s a good time and you will have fun. Mini bikes encouraged — all bikes welcome. Helmets are encouraged. Ride at your own risk.